How to stop receiving and remove duplicate email messages in Outlook 2016 and 2019? Applies to: Office 2019, 2016, 365. Windows 7, 8, 10 and MAC OS X (with small adjustments). Have you ever got a bunch of redundant duplicated email items, contact persons and calendar entries in Outlook and wanted to quickly clean up your inbox off these annoying duplicates so you can focus on stuff that needs to be done? If so, keep reading, because today we’ll show you how to you can stop receiving those email duplicates from your mailbox without purchasing a costly remover tool. We’ll first explain the most prevalent reasons for the most common email duplication cases. We’ll then provide some simple solutions that you can easily implement to cleanup redundant conversations, contacts and meetings from your email inbox with ease. Rules not configured correctly: There might be cases that two or more rules are fired upon receiving email, resulting in multiple instances of the same messages. Incorrect account setup: In several cases, i have seen that users mistakenly defined multiple occurrences of the same email account and this results in multiple instances of each incoming email, contacts and calendar entries. Send / receive interval are too short. If the frequency of your inbox update is too short; Outlook might load the message into your inbox, BUT might not be able to mark messages occurrences as synchronized/loaded. This results in multiplied occurrences of the same messages. User errors while manually copying and pasting meetings and appointments in the Outlook Calendar. Incorrect merging of several Outlook personal folders (also referred as PST files) into one folder. They might impact your Outlook client loading performance. The more messages stored on your computer or server Outlook will need to load on startup, the slower its performance will be. Dups fill up your inbox. Business users will need to delete email to to comply with the allocated email storage capacity provided by their IT department. Now that we understand the root causes and impact, let’s focus on solutions. There are several email duplication removing utilities and add-ins in the market, but we do believe and recommend that you use the out of the box Outlook functionality. Read on for the complete procedure. Open Microsoft Outlook (this process will work in versions 2013 and 2016). It’s alway advisable to backup your email before executing a clean up procedure. 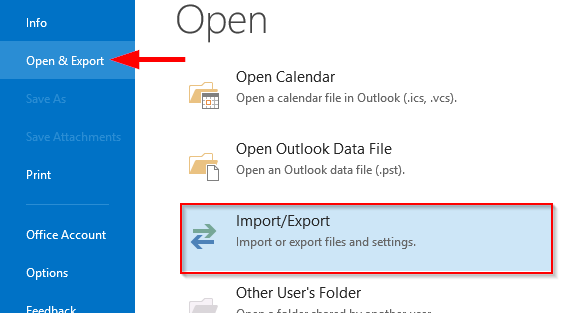 Here’s a step by step procedure to export and backup your Outlook email, calendar and contacts. After you are done, select the folder in which the duplicate emails are. Under Home, go ahead and select the Clean up drop down box in the Ribbon. Select Clean up conversation to delete and move duplicate emails in the conversation to the Deleted Items folder. Note: If you are a Microsoft Office for MAC user, you will find the Clean Up option in your Home Ribbon. 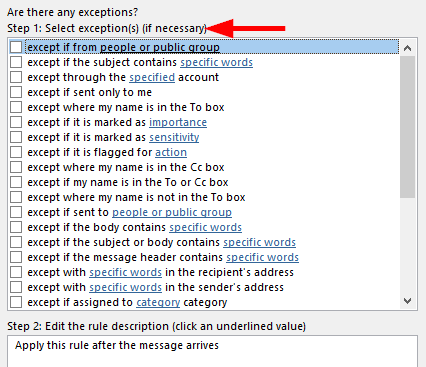 If relevant, check on your Outlook rules to ensure that multiple rules are not firing in parallel for each incoming message. If using 3rd party web email providers, Check that your GMail, Yahoo and Outlook.com accounts are correctly defined in Outlook. If you have found duplicated contact people in your People tab, you will find this tutorial very useful. Follow the outlined steps to merge duplicated entries in your Outlook contact list. Got a related question ? See our quick guide on how to get your tech questions answered. Hopefully, this short guide helped you to solve the problem.In case of questions, feel free to leave as a comment. How to embed and send a .gif image into an Outlook 2016 / 2019 email body or signature? Applicable to: Outlook 2019, 2016, 365. Windows and MAC OS X.
I would like to add an animated file into an Outlook message that i want to send to a friend having her 50th birthday. Not exactly sure about to go about putting the animated gif image into the message so it can appear on my outgoing email. Any help is appreciated! If you use Outlook 365 , you are not only able to embed animations (being gif, swf files) into the content of the email you’ll be sending, but also to add those gifs into your Outlook custom signature. Navigate to your Outlook message. From the Ribbon, hit Insert. If you have already your animated .gif file stored in your personal computer,hit Pictures. If you would like to search for a graphic on a web browser, Facebook, Twitter etc’, hit Online Pictures. Note that you might be prompted to provide your login credentials to access online resources. Note that in this case, the animation will be visible if the message recipient is connected to the web. Once your graphic file is found, select it and hit Insert again. Once the file is inserted, you are able to resize and format it as needed (using the Format menu). If you are using older Outlook versions, you might be able to easily attach your animated gif to your Outlook message. Note that in a pretty similar fashion you are able to insert animations into Word, PowerPoint and Excel. If you are a business user, note that there might be cases that Exchange servers of your email recipients might remove your animation from the email body, as they might see it as a potential non-secure content. Microsoft Office 365 now includes the latest Office 2016 version. If you are running on outdated Office version, you might want to check out Office 365. Sign up to get access to your favorite Office programs and to 1 TB data for every registered user. Got a related question? Look into our guide on how to get your questions answered or leave us a comment. 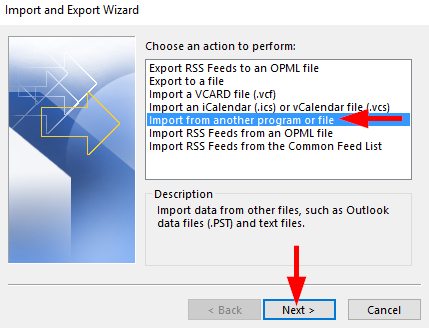 How to auto refresh my inbox mail in Outlook 2016 and 2019? Unlike my Gmail account, it looks that my Microsoft Outlook 365 folders are not automatically updated with incoming email messages. Looks to me that the new email items are updated probably once in 15-20 minutes. My question to you is how can i possibly set Outlook to automatically update its Inbox folder more often, if possible as often as Gmail does. If that’s not possible, can you explain how often Outlook checks for email? Thanks! If you ever used Microsoft Office Outlook as your PC e-mail client, you might have noticed some delay in your inbox refresh. Typically, it takes your incoming mail a bit more time to arrive when compared to web email services such as Yahoo Mail, GMail and Outlook.com. Those typically auto update your inbox folder entries whenever new email hits your mailbox. 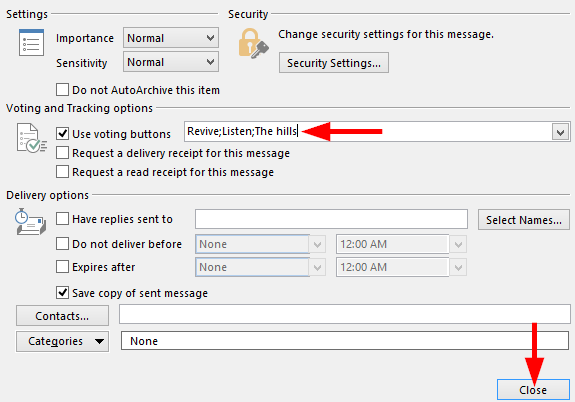 Open Outlook, and hit the Send/Receive button. 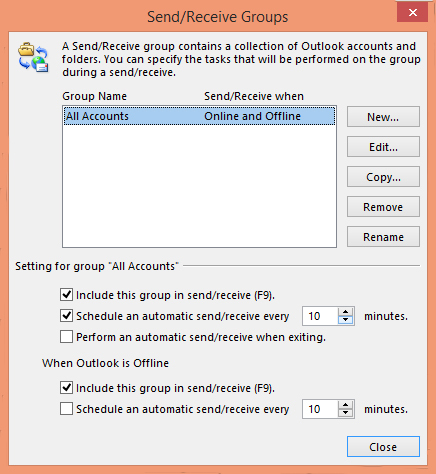 Click on Send/Receive Groups drop down box and Select Define Send/Receive Groups. Under All Accounts, Click on Schedule an Automatic Send/Receive every. Change the Minutes value from 30 to a smaller number. Note that setting this value to less than 5 min might lead to duplicated entries in your inbox. After changing Close the Dialog box. Now your Outlook inbox will automatically refresh every 10 minutes. And then set the Schedule an automatic.. value to the required refresh rate. Again – beware the fact that too frequent updates could lead to duplicated Outlook email entries; which are generally time consuming to fix. In the Send/Receive Groups dialog, hit the Edit button. Then in the left hand side, ensure that your email account is marked. Then under Folder Options ensure that your Calendar folder is marked. Same as in the section above, just ensure that the Contacts folder is marked for auto sync. Note: You can always trigger an update of your email folder by hitting F9. If you are using Outlook on macOS to read your Gmail, Hotmail or Exchange email, you can shorten uour Outlook folders synchronization interval, so that auto updates will be enabled and launched more often. In the left bar, you’ll note your GMail, Hotmail / Outlook.com or Exchange Account. Make a right click and select Account Settings. The Accounts dialog will appear, at the bottom right of the screen hit the Advanced button. 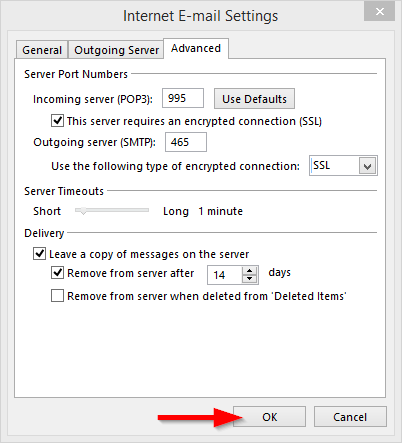 Open the Server tab and set your sync interval accordingly as shown below – Note that for IMAP accounts (GMail and Outlook.com) the minimum value is 2 minutes. Note: for slower connections like cellular hot spots, you might want to consider to check the Download message headers only box. 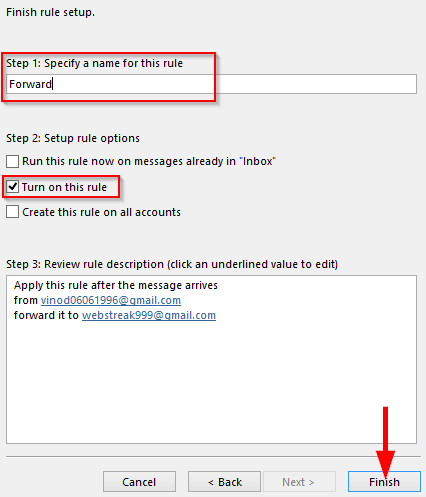 How to recall and resend an Outlook email message? The other day, a colleague called me to ask whether there was a way to retract a mail message that he sent in Outlook. Recalling an email item in Outlook 2010, 2013 and 2016 is quite simple if your organization is using a Microsoft Exchange Server. Open Outlook and navigate to the File tab. Hit the Account Setting button. If you have an email account entry of type Microsoft Exchange, you’ll be able to execute the instructions provided below. If that’s not the case you won’t be able to recall the message. 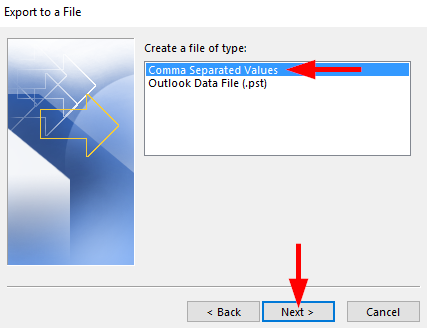 Open Outlook and navigate to the Sent Items folder. Locate the message you just sent and double click on it. From the Message tab, hit Actions, then select Recall this Message. Then check to Delete unread copies of this mail. You might as well choose to replace your message with a new message. 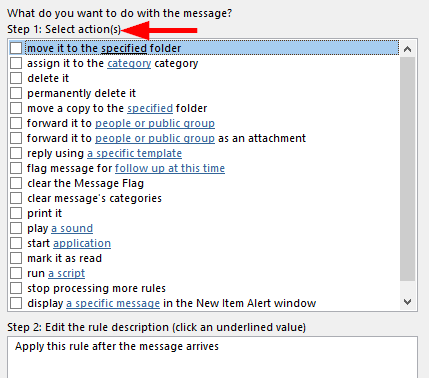 Your recipient has configured an automatic rule to move the message from the default inbox to other folder. Your recipient has already opened the recalled message. Hope this helps, join our newsletter for more actionable advice. 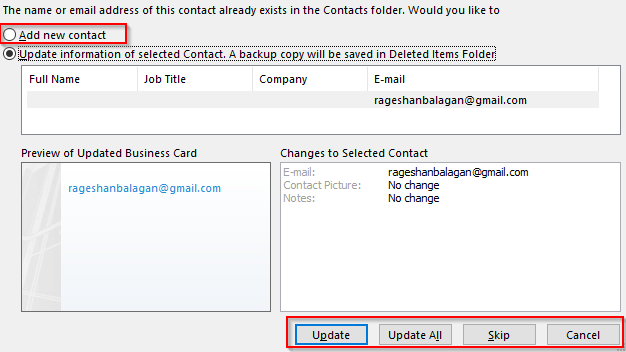 How to merge and remove duplicated contact people in Outlook 365? Good question, there is a little trick to find those redundant contacts and remove or merge it. In this post, We will learn the way to do it. Keep reading. 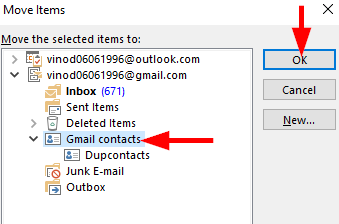 Open outlook 2016, click contacts and select the folder which contains all your contacts (Gmail contacts). Now create a new folder by right click on some folder, select New folder and name it (Dupcontacts). Then select all the contacts (ctrl+A) and move it to the created folder (Ctrl+Shift+V). Go to file, select Open&Export and click on Import/Export. Select Comma separated values and click Next. Now select the created folder and click Next. Click on to choose the location to save .csv file and name it. Click next and hit finish to save your contacts in .csv file. 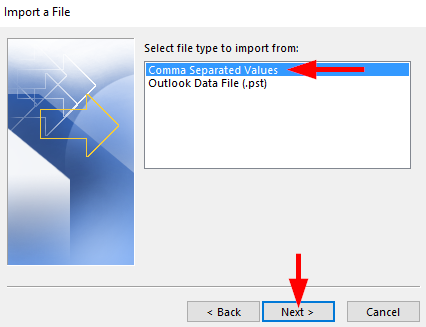 Select the .csv file to import and check on Do not import duplicate items. Click next and select the folder where our contacts was previously in (Gmail contacts). Click next and hit finish to import the contacts into the selected folder. Now click on Dupcontacts and select all the contacts (Ctrl+A). Move your contacts from Dupcontacts to Gmail contacts (Ctrl+Shift+V). For each duplicate that is being found, you’ll receive a dialog box and it will show a preview of which data will be added or updated. Select Update to update contacts one by one, Update all to update all the contacts or skip to review it later. Check on Add new contacts to add the contacts as a new one. How to add a new business / personal / shared calendars into Outlook 2019, 365 and 2016? Sometimes you might be in need to create additional calendars in order to more easily manage your personal schedule separately from work or manage your project schedule. In today’s post, we’ll show you how you can create a birthday calendar in Outlook 2016 that will send you reminders about your friends and colleagues birthdays so you will never miss anyone’s birthday again :-). You might use the same process to setup new calendars as needed for either your work or personal needs. Additionally, we’ll show how to share a calendar with colleagues as well as copy, delete and recover Outlook calendars. Note: Although the post was developed on Outlook 2016, the content is fully applicable to version 2019; We tested it both on Office 365 and standard desktop editions. 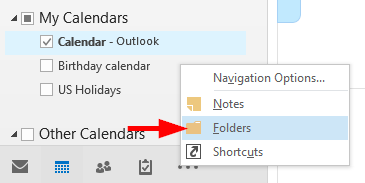 Open Outlook 2016 and select calendar in the bottom navigation panel. Roll down to My calendars and select the down arrow to expand it. Now we can find there are set of separate calendars in it. Right click on anyone of it and select New calendar or click on Folder in the ribbon and select New calendar. In the dialog box, enter the name for your calendar. Select where the folder has to be placed and make sure the folder contains are calendar items. That’s it, new calendar is created under the needed folder. Sharing a calendar could be quite useful for better team collaboration. You can share a custom created calendar or your own default personal calendar. In the Calendar tab, highlight the entry you might want to share. Righ click, hit Share and then select Share Calendar. Outlook will generate an invitation, which you then send to the relevant colleague/s. In the invitation, use the check box below the Subject line to define whether the invitation recipient will be able to edit the specific calendar being shared. Note: Another useful option for sharing is to send a calendar to a recipient by email. This is particularly useful in cases that you would like to collaborate with individuals who are not co-workers. The caveat being that the calendar is attached as an *.ics file, meaning that it will be an “offline” snapshot of the calendar, which won’t be updated if your online calendar changes. 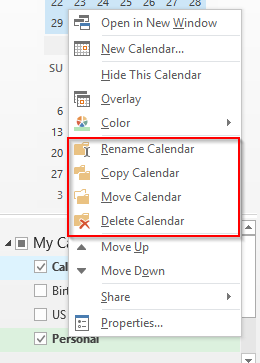 To move a calendar to another folder, right click on the calendar and click move calendar. Then select which folder the calendar has to be moved. To copy a calendar, again right click on the calendar and select Copy calendar. And select where the copied calendar has to be pasted. To rename a calendar, right click on the calendar and select rename calendar. Enter the name for the calendar and press Enter key. To delete calendar, right click on the calendar and hit delete calendar. The deleted calendar will be moved to the deleted items in your outlook. To view the deleted calendar again and move it back to the original folder, click on the three dots in the bottom navigation panel and select Folders. Now you can find the deleted calendar under deleted items. Deleting under the deleted items makes the calendar delete permanently. Note that once setup, you are able to delegate access, set/remove permissions and sharing of your newly created calendar. If you are using Google Calendar in addition to Outlook, you might want to check out our tutorial on how to easily access your Google calendar in Outlook. 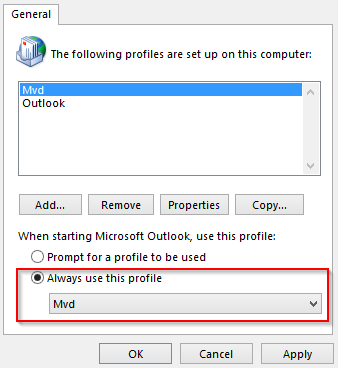 How to manually create a Microsoft Outlook 2016 profile? Yes. By using the steps outlined below you would be able to manually define your outlook account in outlook or exchange active sync. Open your control panel, search for mail and click it. Then in the dialog box click Show profile. Hit Add to add a new profile. Enter the name for your profile and click OK. In the dialog box check on Manual setup or additional server types and click Next. 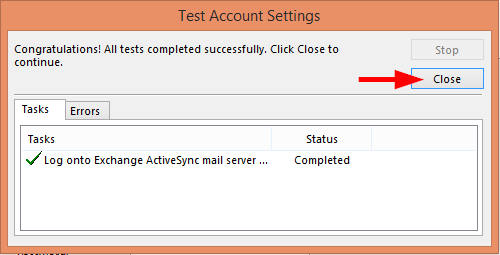 Check on Outlook or Exchange ActiveSync compatible device in the choose service option. In the user information type your name and Email address of your outlook account. Next in the server information enter the mail server as m.hotmail.com. Obviously you can also configure your Gmail and Yahoo accounts with Outlook. In the logon information username will be taken from your email address and then enter your password. If needed use the mail offline settings and click Next. Now in the after starting outlook make your profile to be used. Then in the dialog box click Show profile and hit Add. In the Email account add your name and email address of your outlook account. 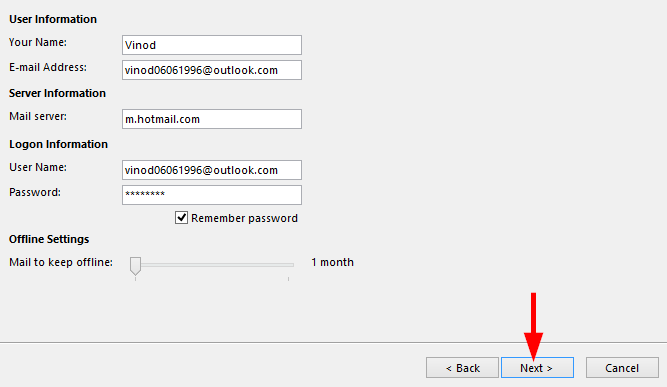 Enter the password of your outlook account twice and click next to add your outlook account. Applicable to: Outlook 365, 2019, 2016, 2013; Office 365 and Standard. A somewhat not too well known capability of Microsoft Outlook is the fact you can use it as a simple voting tool. In this post will show you how to insert voting buttons to poll your colleagues opinions on different matters through email. In order to keep it simple, this post will focus on using the voting buttons delivered by Outlook, which would typically fit a work group or small department scenario. Voting solution that applies to larger organizations or cases in which other email clients, such as Gmail, Outlook.com and Yahoo are beyond the scope of this post. Open Outlook and click on New Email in the Home ribbon. Now while you compose a mail click on Options in the ribbon and click on the Use voting options drop down box. Approve;Reject option will make opinion on a task to others whether to Approve/Reject. Yes;No option used for questions asked by the sender which can be voted as Yes/No. Yes;No;Maybe option is same as the previous one, but adds the extra option maybe. Custom option helps us create our own answers for voting. ” ; ” is used for the separation for each entry. Select anyone of the options and you can see that there is an indication for the usage of voting button. Enter the address and subject in the space provided. Click send to receive answers from others about the voting option you set. Let us say I want to know which of the three albums (revive, the hills, listen) are best and I want to ask this to my project colleagues. I click on Custom in the use voting options to include the names of the albums. In the voting and tracking options, I enter Revive;listen;the hills. I enter email address of my project colleagues along with my voting question and final project report.